The Daily Law Blog: What is a Mineral Title Opinion? What is a Mineral Title Opinion? 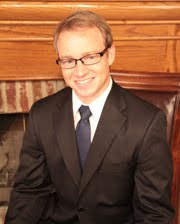 For the last ten years I have been a mineral title lawyer and have enjoyed rendering mineral title opinions for production companies who are exploring and producing in various areas of the country, including the Fayetteville Shale in Arkansas and Arkoma Basin in Western Arkansas and Eastern Oklahoma. This blog post contains portions of a paper that I recently presented to the Arkansas Bar Association at the Natural Resource Law Institute that focuses on the nuts and bolts of mineral title opinions. A mineral title opinion is an important written communication between an attorney and his or her oil and gas client. A thorough examination will reveal whether a given tract is marketable. If title is not marketable, the examiner will note the title objections and suggest curative measures. The title opinion will serve various members of the same organization and be used in many different ways. For example, leasing brokers will use the title opinion to identify any unleased parties and create a list of non-consenting parties for an integration application. Land managers will use the title opinion to calculate the quantum of interest under lease to the client, its competitors, and learn which interests remain available for lease. Upon the completion of a successful well, the client’s division order analysts will use the opinion to prepare pay decks. The legal department will review the opinion to weigh the potential business risk associated with waving a certain title requirement. In addition, all of the partners under the unit operating agreement are entitled to the title opinion. The title opinion will not lead to a title insurance policy covering the mineral interest. However, the opinion will serve as title assurance for a company that is interested in prospecting for minerals. There are several different types of title opinions that an attorney could be asked to render. They include the drilling title opinion, drill site tract title opinion, supplemental title opinion, acquisition title opinion, and division order title opinion. The particular form of opinion that is rendered will ultimately depend on the specific needs of the client. Preliminary title opinions are rendered prior to a client taking leases from owners. The objective is to determine the leased and unleased interests in a given prospect. In general, a preliminary opinion may be prepared before the client has determined whether they will drill in the unit. A drilling title opinion is more comprehensive, and is prepared before integration proceedings and before the well is drilled. This opinion will set forth the surface, mineral and leasehold ownership for the owners of the individual tracts within the drilling unit, list encumbrances, discuss marketability problems and suggest curative. At this point, the client has determined that it will take sufficient steps to attempt to secure leases from unleased parties, and integrate the non-consenting parties in a proceeding before the Arkansas Oil and Gas Commission. Occasionally, a client will request that a drill site tract title opinion be rendered. Drill site tract title opinions, as the title suggests, are limited only the drill site tract and set forth the surface, mineral and leasehold ownership, list encumbrances, discuss marketability problems and suggest curative only for the particular drill site. A supplemental title opinion is rendered by an examiner who will update a prior preliminary or drilling title opinion with the use of a supplemental abstract (or other supplemental materials provided by the client). Often, the examiner will not have the original abstract or title documents that were used for rendering the original opinion. Therefore, to ensure a comprehensive examination, the supplemental abstract should include all materials recorded from the date of the last instrument examined in the prior opinion. A client who is acquiring oil and gas interests from a third party may request an acquisition title opinion. Acquisition opinions be limited to a particular entity’s fee or leasehold interests in one section or may cover multiple sections. In many cases, acquisition opinions are similar to supplemental title opinions in that the examiner is updating a prior title opinion with the use of subsequently recorded instruments. The division order title opinion is similar to the drilling title opinion, but will contain a full recapitulation of the ownership interest on an attached spreadsheet. This opinion is prepared once a well has been drilled and is producing in paying quantities. An attorney is usually working from a prior opinion, a supplemental abstract as well as additional unrecorded curative that has been obtained by a company’s landman. The client will use the information in the spreadsheet to prepare a pay deck. Most title examiners, unless otherwise informed by the client, will include within the title opinion, (A) a caption, description of the property that is covered and a description of the materials examined; (B) an individual tract ownership summary; (C) schedules of leases, mortgages and other encumbrances; and (D) a section on comments, exceptions and curative requirements. Each section is briefly discussed in turn below. Title opinions are presented in the form of a letter, on the law firm’s letterhead, and addressed to the client’s land manager, or the company representative who ordered the title opinion. The land area that is covered by a title opinion is ultimately determined by the client, but will cover the proposed drilling unit, which is often a 640 acre governmental section. The title opinion will always contain a description of the materials that were reviewed. The title opinion is only as good as the materials that were reviewed by the examiner. The more comprehensive and accurate the materials are, the better the final product will be. In Arkansas, where courthouse records are kept, not on a tract index, but in grantor/grantee books, the use of certified abstracts, while more expensive, is the most reliable option. Each individual tract within the unit is presented separately in the title opinion. Often, an examiner is presented with a field landman’s or lease broker’s ownership report which has previously broken the section into numerous tracts. The title examiner should attempt to remain consistent with the client or its broker and follow the same tract numbers if at all possible. If there is no mineral ownership report or prior opinion to work from, the examiner should create as many separate tracts as there are combinations of surface, mineral and leasehold ownership. Unless there are reasons to omit it, surface ownership is included in the individual tract ownership summary, followed by the mineral ownership and leasehold ownership. Surface ownership can be omitted in a leasehold acquisition title opinion. Surface ownership can also be omitted, if the client consents. Such a situation could occur if the unit includes an area with several developed surface tracts, but severed mineral ownership. In this case, the client should be certain that it has no desire to conduct any surface operations on the omitted lands. Finally, each tract ownership summary includes the leasehold ownership information. This section shows which parties have been leased, to whom, and for each lease, the appropriate net revenue interest and working interest ownership. Unleased parties and strangers to title who have executed leases are also indicated. If a lease has been burdened by one or more overriding royalty interests, these leases contain a footnote that corresponds to the burdening interest. assignments of overriding royalty interests, ratifications and lease extensions. The opinion should also contain a separate schedule of leases that are shown to be past the primary term. The schedule should set forth the name of the lessor, lessee, relevant recording information and include any lands outside of the examined area that are covered by the lease. The examiner should direct the client to determine whether any of the leases that have expired by their primary term have been extended by production or agreement. A separate schedule for mortgages should also be prepared which displays the recorded mortgages and deeds of trust that have not been released. The examiner should also include a description of the tract that is affected by the mortgage and which leases, if any are superior or inferior to the lease. For inferior leases, a requirement should be made that suggests that the client obtain a written subordination agreement from the holder of the mortgage. The examiner should make a separate schedule for rights of ways and easements, which will include the parties to the agreement, the recording information, and the tract affected. The examiner will make a general requirement that asks that the client satisfy himself that the easement or right of way will not affect his interest. The examiner could make a separate schedule for unsatisfied judgments and tax delinquencies, or could draft individual requirements for each encumbered tract. In either case, the examiner should always include unsatisfied judgments and tax delinquencies in the tract analysis and require that each encumbrance be satisfied prior to paying royalties to the property owner. Finally, a title opinion will contain a thorough discussion section that contains general comments, examination exceptions, as well as requirements that will include suggestions for dealing with serious title defects. In this portion of the opinion, the examiner will define the scope of the examination and will attempt to clearly and concisely explain marketability of title issues. The requirement will include the relevant facts related to the title issue, inform the client of the risks associated with the problem, explain the law that would govern, and provide the client with curative options. When drafting any title opinion, the scope of examination will ultimately be dictated by the client. The attorney should always take into account the specific purpose of the examination, and consider the various company personnel that will benefit from the title opinion. The examiner should remain objective and inform the client of all title defects that could affect marketability.